A rare find! 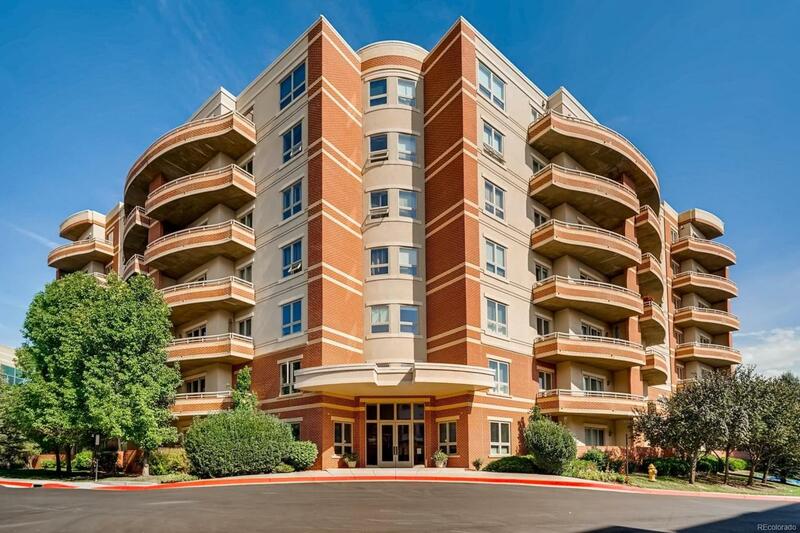 Exclusive upscale condo with impeccable location in the heart of DTC West. Nearby shopping, entertainment, hip dining/nightlife, athletic club, dog park. Easy access to Meridian + Inverness business centers. Special features include gourmet island kitchen with 42" maple cabinets, master suite w/5-piece bath + walk-in closet, 10' ceilings, tile floors, study/flex room + private outdoor patio w/gas BBQ hookup, in-unit laundry. Maintenance free living in a quiet building, secure entrance, 24/7 on-site building manager, underground heated parking, short walk to light rail stop - Belleview Station. Deeded parking space #209 on parking Level 1 + extra storage. Compare value with new 1 bedroom/1 bath, 834 sq. ft. units at VillaRosso Flats directly across the street priced at $379,900-$394,900.